BCONC will hold a membership meeting on Saturday October 17, 2015 1/2 hour after the Basenjis finish showing at the Del Valle Dog Club Of Livermore show held at the Alameda County Fairgrounds, 4501 Pleasanton Ave., Pleasanton, CA 94566. The ring schedule has yet to be posted. Check this link for details from infodog.com. Minutes from the last meeting are posted at this link. The Friday show is a BCONC-supported entry show. The Sunday show is a BCOA-supported entry show. Share with your friends and join us to make three days of majors! The premiums for the AKC Lure Trials on Saturday November 8 and two CATs on November 9 at Brigantino Park in Hollister have been posted. Go to the Files & Info Page. 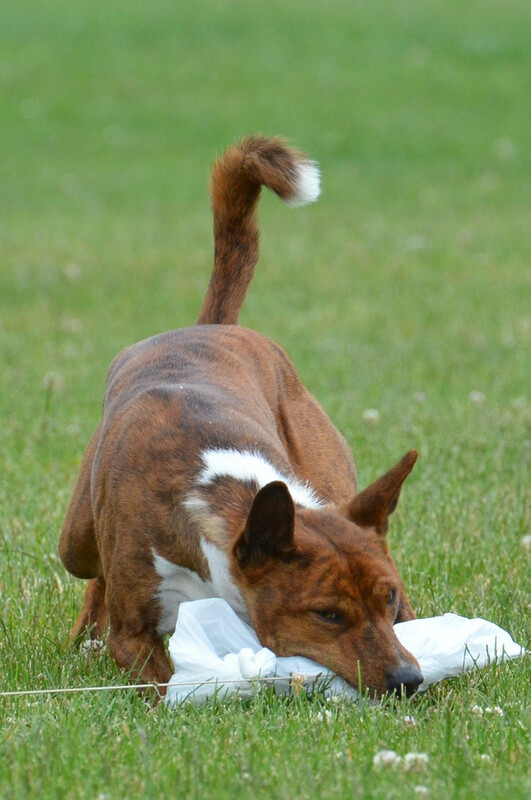 Thanks to everyone who helped and participated in today's AKC Basenji Lure Specialty and Coursing Ability Test. Pictures from the CAT will be posted at this link. The premiums for the AKC Lure Trials and CAT on July 20 at Brigantino Park in Hollister have been posted. The Basenji Club of Northern California will be hosting its first set of CAT Tests and a Basenji Only Lure Trial at the fields in Hollister, California on Sunday July 20, 2014. Details and Premiums will be coming soon. Mark your calendar now for a great event for everyone!